This app is almost same with Kingroot app, namely the app's that also used by android users to root their Android Phone. On the previous occasion I explained to you how to root Android device using Kingroot. And on this occasion I will give a few ways to root android using 360 Root / PermRoot app esily. Because basically every type of Android system is made not the same, even in one brand. So the security of the system is also different. Therefore, if we want to do a full Rooting / Holder against Android. Automatically if we want to succeed in rooting we have to find weaknesses and find a solution. Indeed, most android rooter may not be foreign if they hear the word Kingroot. Yes, this one Rooting application has indeed been launched for a long time and has been widely used by android rooter to root the android. Before rooting, of course you already know the positive and negative effects of rooting. And if you already understand the impact, let's execute it. 2. Activate USB Debuging in Settings> About Phone> Press Build Number Repeatedly> Developer Options> Then Check the USB Debuging. 3. 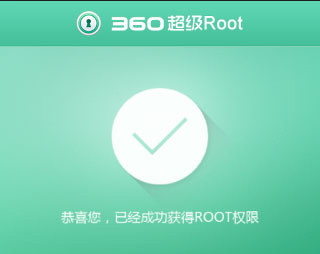 Open 360 Root / PermRoot app. 5. If Exit Image As This Means Your Android Has Been Rooted Successfully. I think this method is easier than rooting with the Kingroot app. But the problem and the disadvantages of this app that I don't like is the language that still uses chinese language, if you are of Chinese descent, you can understand. But here I only understand how to do root with this app, the rest I don't understand. And usually after I am successfully rooting with this app then I replace it with SuperSU. Unlike the advantages of Kingroot app itself, which already uses many languages. But what I don't like this app is that there is an additional application, purify, which will be automatically installed after successfully rooting with Kingroot.